Please thank the following businesses for making all this possible. We appreciate their support! 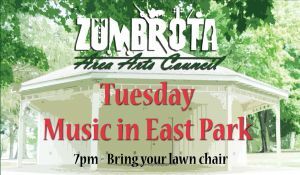 In the case of inclement weather, concerts will be held at the State Theatre, 96 East 4th Street, Zumbrota.